Old MacDonald, or Old MacDonald Had a Farm, is part of English speaking culture, and is acknowledged as such by inclusion in both the Roud Folk Song Index, and the Traditional Ballads Index. Although the original author and composer are unknown, the earliest recording dates to 1925 by the Sam Patterson Trio. Translations are found in a multitude of languages, and the song is enjoyed by children, the world over. The nursery rhyme and childrens song, Old MacDonald is cyclical, adding a different animal at the singers choosing in every verse. Generally, turns are taken to choose the animal and everyone must recite the onomatopoeic sound that the creature would make. Sometimes the song is sung with a cumulative affect, so that all the previous animal sounds must be remembered in order, much the same as the traditional Twelfth Day of Christmas. The song is sung until either nobody can think of another animal, or participants choose to stop. 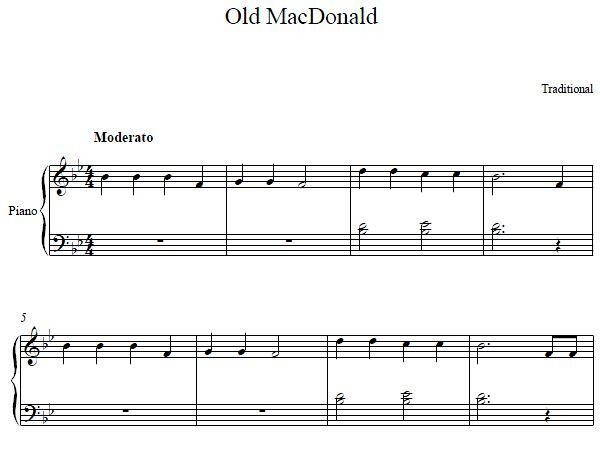 Old MacDonald piano sheet music and other easy children songs can be found on our easy piano sheet music collection. 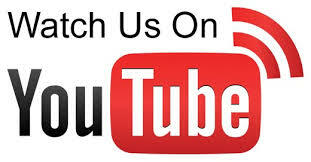 We also provide many free piano lessons on the website.